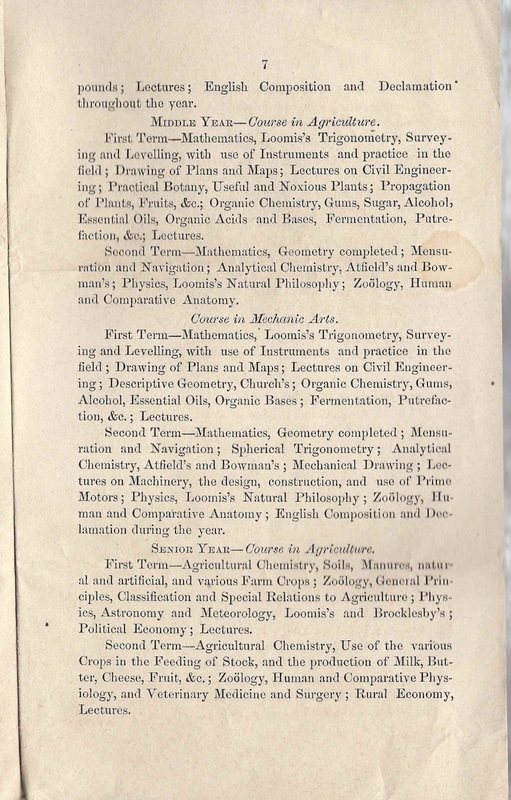 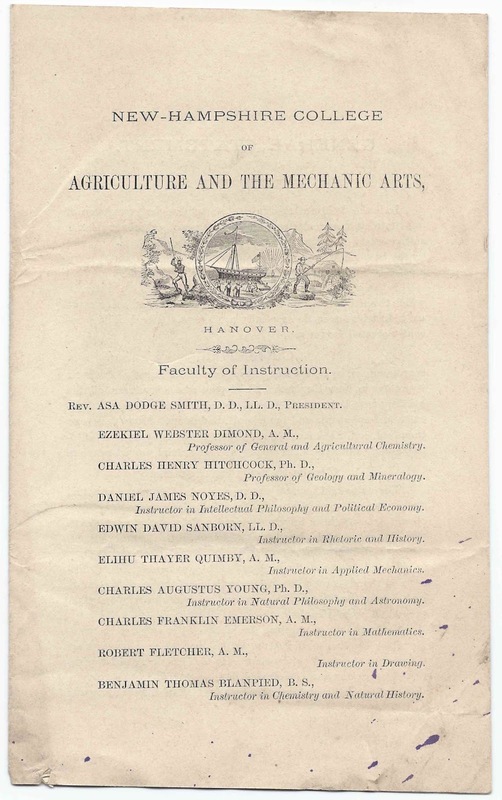 Circa 1873 catalog of New Hampshire College of Agriculture and the Mechanic Arts, located at Hanover, New Hampshire and associated with Dartmouth College. 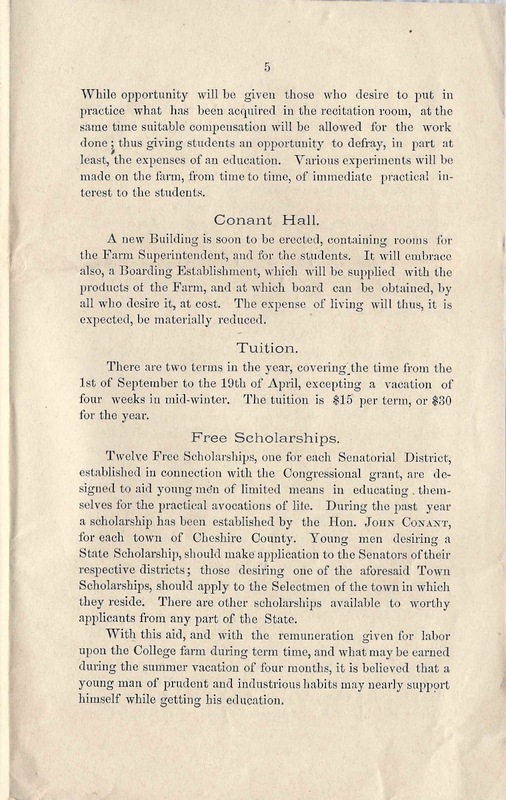 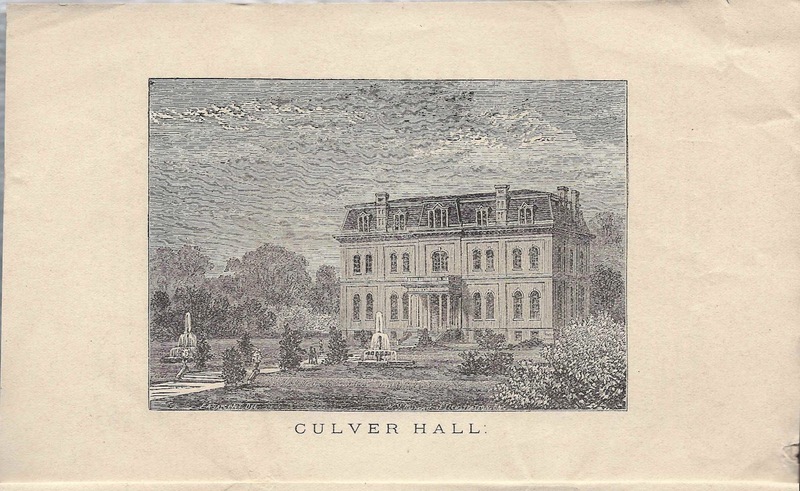 The text mentions a building, Conant Hall, that is soon to be erected. 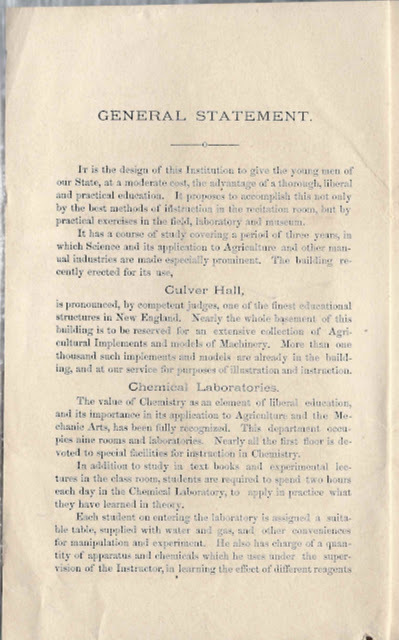 Conant Hall opened in 1874. Sadly, the catalog does not list names of students, but it does list the faculty on the front cover and the trustees on the back cover. 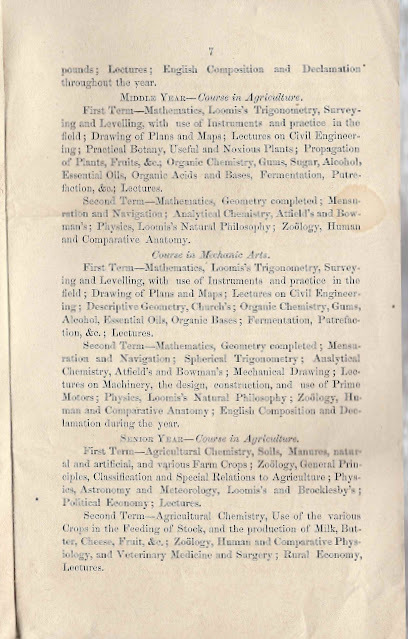 I've provided links to their names; take what you find with a grain of salt. If you have additional information, please leave a comment.